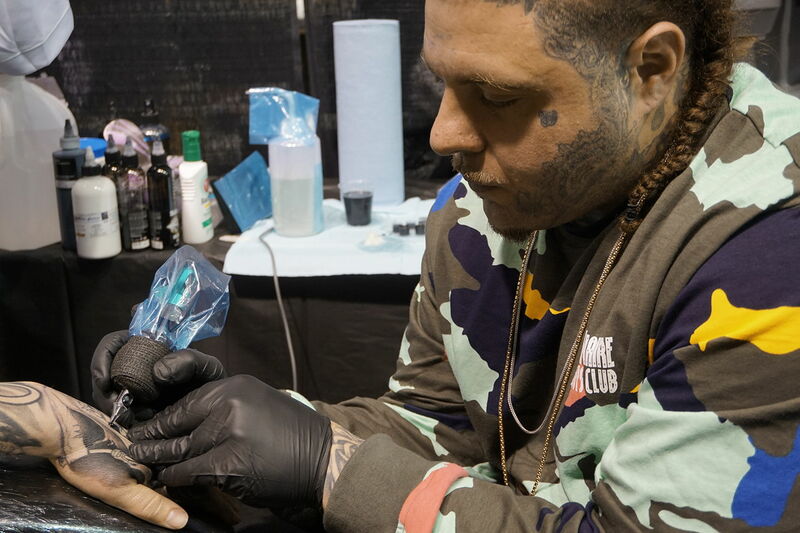 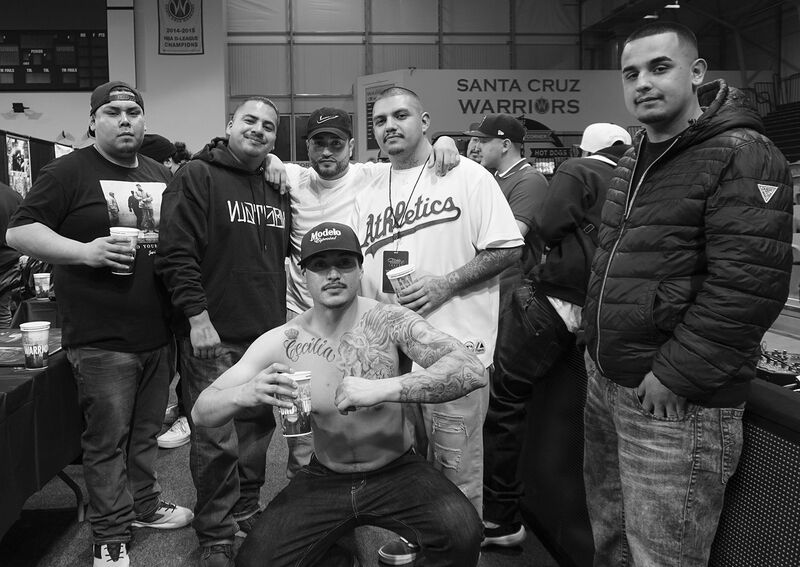 Although it was a stormy-skied February weekend in the central coastline of California, there was immediate warmth once entering the Kaiser Permanente Arena for the Santa Cruz Tattoo Expo. 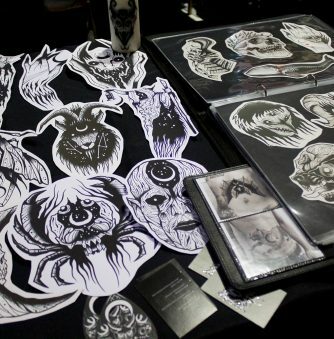 The environment was pleasantly inviting for everyone—the artists, vendors, spectators and press; a well-organized event by Tom Hernandez of Tattoo Tour and Basiks Shop. 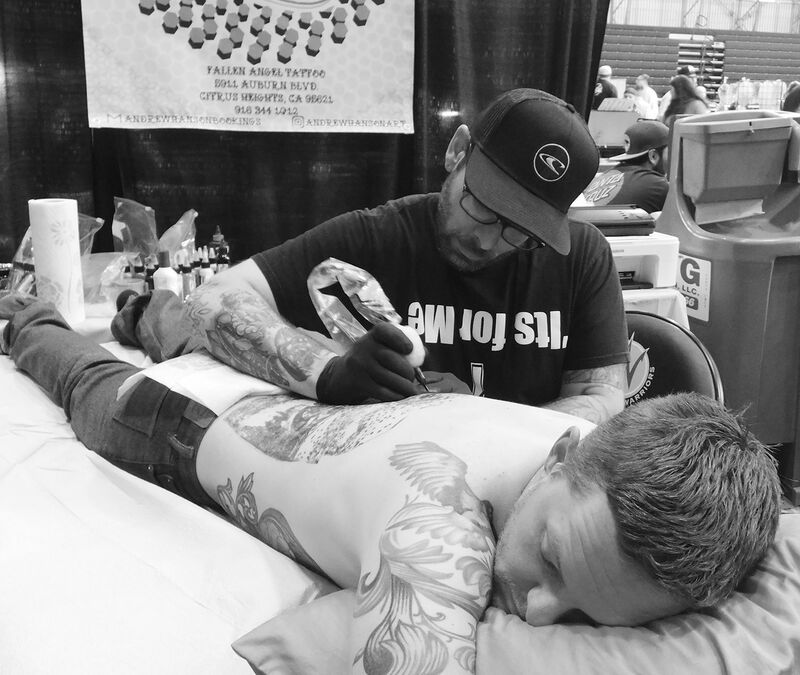 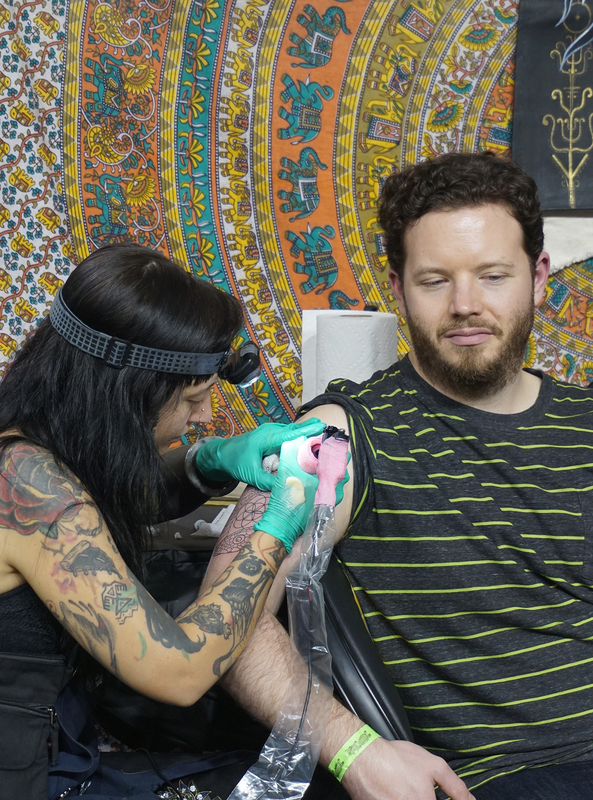 While tattoo conventions like the Golden State and NY State have brought massive crowds with their headliners, the Santa Cruz venue was one to mark on the calendar and come back again for its wonderful connection among humans—tranquil to approach the tattooists and their clients, as well as walking around with family and friends. 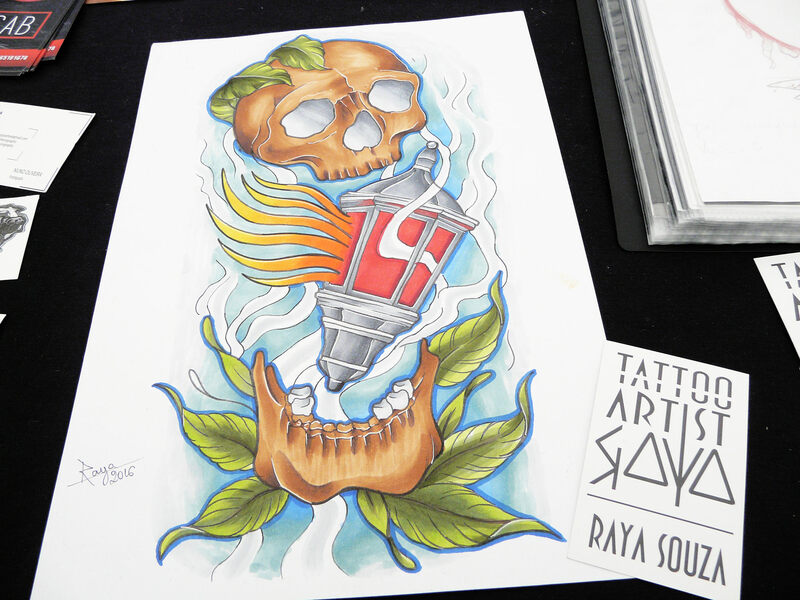 It doesn’t end in Santa Cruz, Tattoo Tour is preparing other events in Portland, Brooklyn (NY), and San Jose. 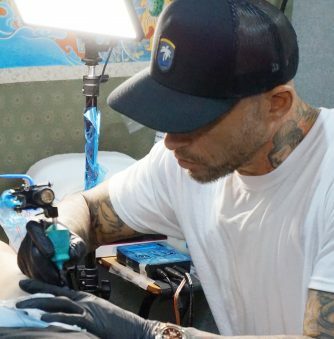 Above: One of the Cali-based tattooers at the Santa Cruz event. 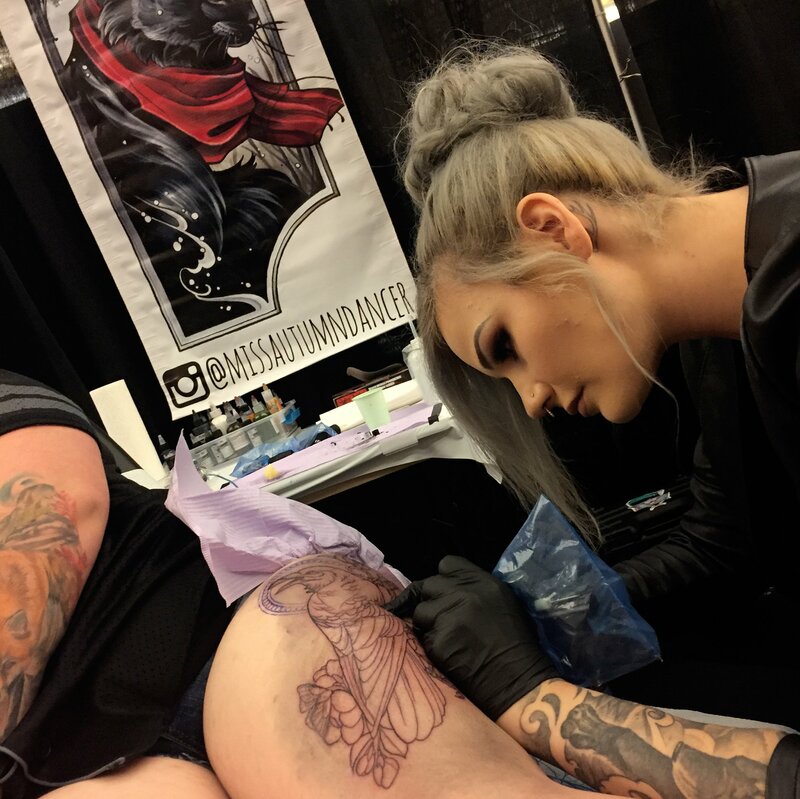 The friendly artist Amy Emerald Prindle and her client getting ready to start a tattoo. 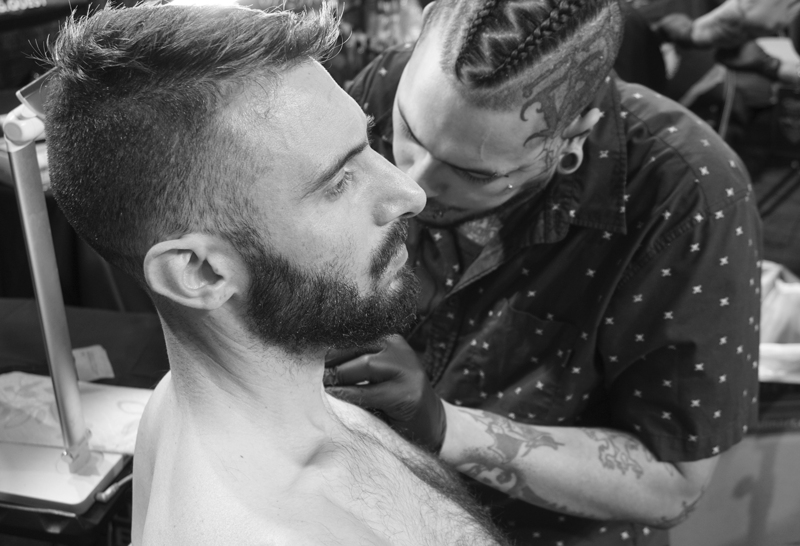 The courteous Jonny Rocket (in action) with his stylish Joker-like hairdo. 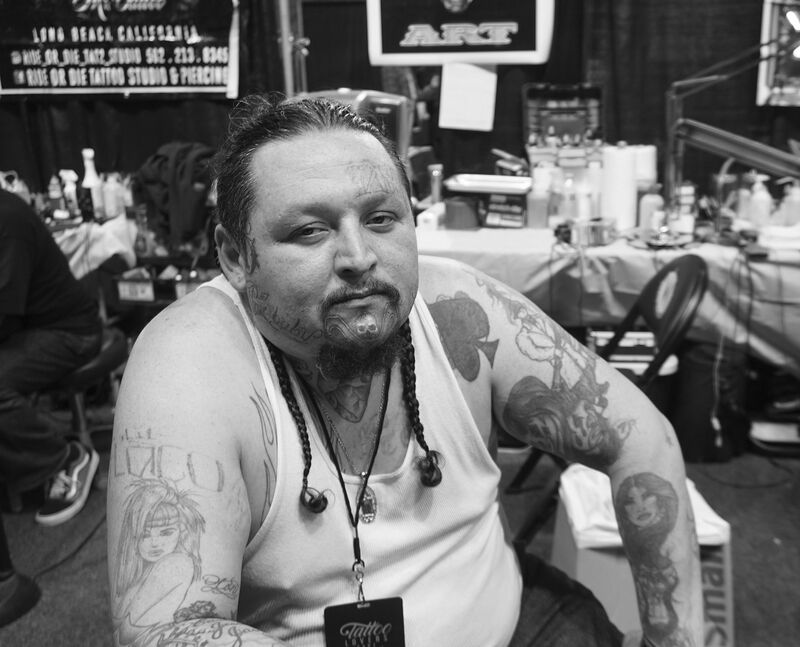 Brooklyn-native Tig Quest (aka The Unquestionable) was popular among spectators at the expo. 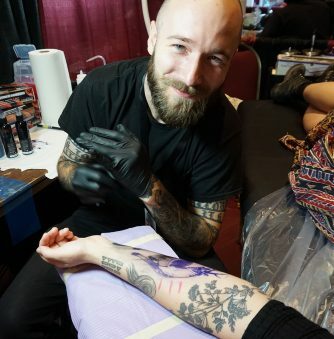 Becki Wilson is one part of Hade Inquisition studio, the other half is Uriel Winfree who was also at the event. 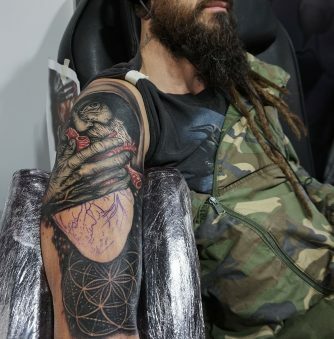 A Yosemite inspired back piece by Andrew Hanson. 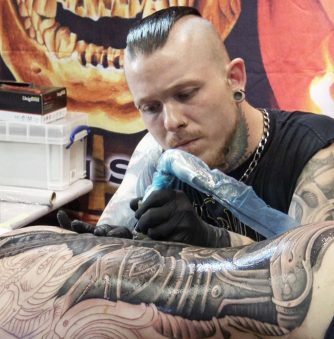 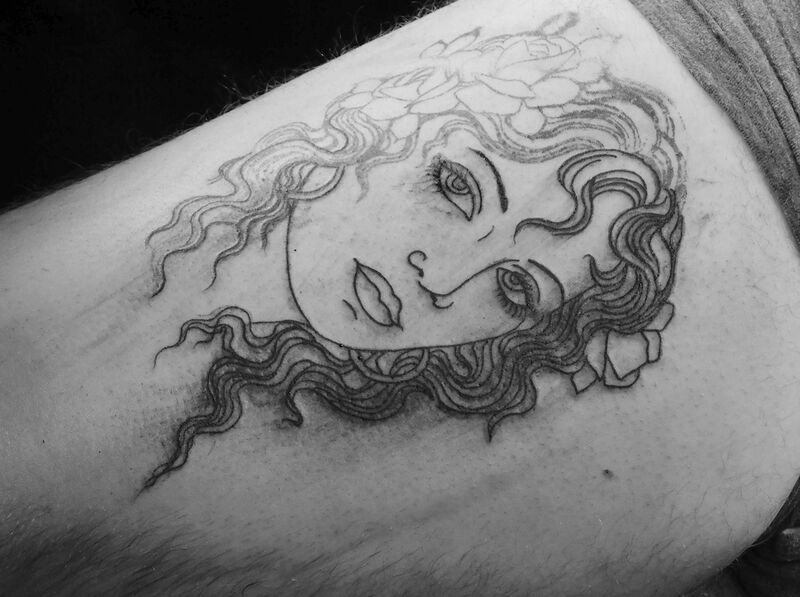 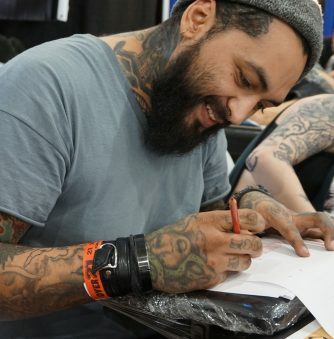 The other half of Hades Inquisition: tattooist Uriel Winfree. 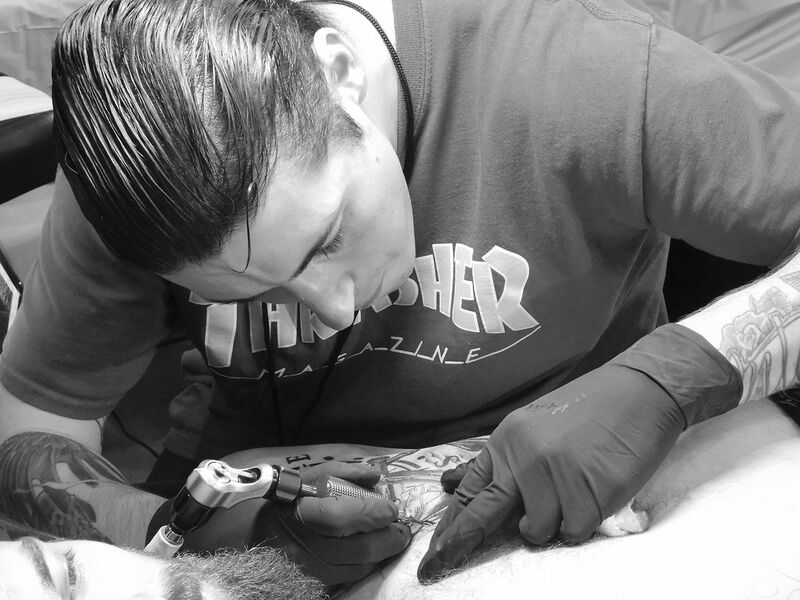 Still in the outlining process, a close-up Uriel Winfree’s portrait art.